for $154,900 with 2 bedrooms and 1 full bath. This 772 square foot home was built in 2001. BOM no fault of seller/house! Fantastic end unit #9, set back from tree lined street w/ welcoming indoor&outdoor space! Great 1st home or rental. Only share 1 wall, off street parking! 2 spacious beds up w/nice bath & laundry. New carpet & int. paint. 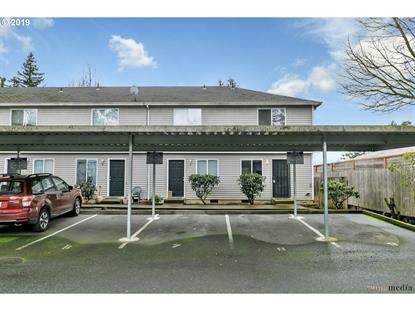 Main level open feel living rm, kitchen and dining area, slider to largest yard in complex. Blocks to MAX. No rental cap! SPECIAL FINANCING AVAILABLE: NO LENDER FEES AND $1K BUYER CREDIT!